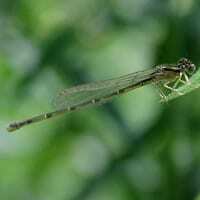 Ischnura posita, the fragile forktail, is a species of damselfly in the genus Ischnura. It is 21 to 29 mm long. It is native to most all of eastern North America.